At Big Red Barn the learning doesn’t just happen outdoors. Step in to the classroom and let the experience continue. Each classroom is furnished with toys and materials to develop social and cognitive skill development, gross and fine motor skill development, lots of natural science exploration and includes a variety of fun accessories to foster hours of creative play. Phonics programs and hands on math and science activities ensure your child has fun while learning all of the skills essential for kindergarten success. Arts, crafts, music, song, and rhyme are part of every lesson every day to encourage participation and retention of basic skills. Children will be building their knowledge through their first-hand experiences with nature, classroom materials, and their relationships with peers and adults. Our hope is to inspire each child to build a lifelong relationship with the natural world around them. Every child will have the opportunity to try a wide variety of extracurricular activities at the Big Red Barn including dance, music, and sports provided by amazing community members and organizations. Guest speakers and meaningful community interactions are a very important part of our program and we hope to give children an opportunity to learn from, build relationships and be involved with their own community. Strong foundations in community, knowlegde of their world and respect of themseves and others are all essential parts of our philosophy at the Big Red Barn. Each of our classrooms are staffed with highly educated teachers and assistant teachers to ensure each child receives all the one on one attention and care they deserve. Rich curriculum, lesson plans, field trips, guest speakers and parent and community involvement is key to us at the Big Red Barn. 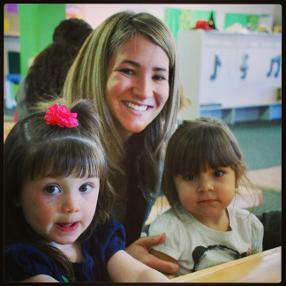 We strive to provide an experience for your child like no other. • Providing an environment which encourages discovery, experimentation, and the opportunity to see the results of one’s actions. 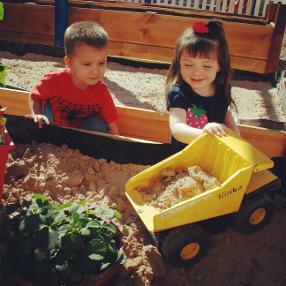 • Developing activities that encourage growth based on children’s abilities and interests. • Encouraging problem-solving and reflection by asking open-ended questions and providing information in response to children’s ideas, insights, and concerns. *The BRB is currently enrolling students three to five for preschool classes and six to ten for the after school program.